The economy of the future is expected to fully rely on renewable and green energy. Scientific and innovative effort in this direction tremendously increased in the last years. Use of the free energy provided by the sun is viewed as an excellent solution. 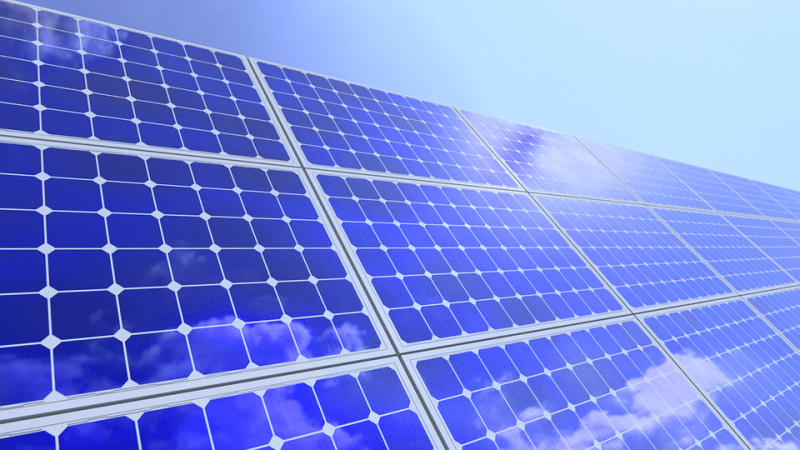 Photovoltaic technologies for solar energy conversion are currently developing at a high pace. The share of Si-wafer based photovoltaic devices accounts for more than 90 % of the total production. Solar cells on Si harvest and convert sunlight into electric energy absorbing ∼50% of the solar spectrum and converting ∼31% due to different losses. Although these numbers are impressive, a better efficiency is desirable. A useful approach is to modify the incident spectrum taking advantage of the regions in the solar spectrum that are not harvested by a solar cell. The process is called upconversion or downconversion if the conversion is from IR to UV or visible or from UV to IR or visible, respectively. To obtain such an effect, rare earth elements are used because they absorb light at a certain wavelength and emit it at a different one. In the work performed at the National Institute of Materials Physics, Magurele, Romania, we obtained by pulsed lased deposition transparent thin films of CeO2 doped with Yb3+/Er3+. Films were grown on the p+-n-n+ (100) single crystal silicon diodes (fabricated by CiS – Forschungsinstitut für Mikrosensorik und Photovoltaik GmbH). Power conversion efficiency of the solar cells was measured for standard AM 1.5 G light irradiation on the pristine cell and on the cell with additional Yb3+/Er3+– CeO2 film. Due to the downconversion effect, an increase in the power conversion efficiency was obtained. For the optimum film, this was of 12.1 % and 39.2 % when illumination was performed with 1 and 2.1 sun, respectively. The fact that the increase vs. sun illumination is not linear enables to think of further improvements and research. Development of higher performance cells on the base of existing ones is expected to have positive implications for the environment and efficient use of resources, smart cities and advanced buildings, transportation, communications, power and energy fields, and others. Miniaturization and better integration are also envisioned. The benefits of all these indirect effects are working towards larger scale application of solar cells, meaning that the price of energy produced by improved solar cells may be constant or can decrease. This works also against the concerns that the price for production of an additional conversion layer and for the use of the relatively expensive optically active rare earth raw materials, such as Er/Yb in our case, might increase the price of the improved solar cell beyond the margins of an economically profitable product. It is also worthy to mention that current solar cells and their fabrication technology are not touched, and the efficient additional integrated conversion layer is fabricated by a technology independent from the one for the cells fabrication. This is one of the most effective general approaches that leads to the next generation of a high-performance product, but further R & D is required to fulfill the expectations and to demonstrate in practice the anticipated high impact of the as-improved solar cells. These findings are described in the article entitled Enhanced near-infrared response of a silicon solar cell by using an up-conversion phosphor film of Yb/Er – co-doped CeO2, recently published in the journal Solar Energy. This work was conducted by Mihai Grigoroscuta, Mihail Secu, Lucian Trupina, Monica Enculescu, Cristina Besleaga, Ioana Pintilie, and Petre Badica from the National Institute of Materials Physics (NIMP). Petre is a research scientist at the National Institute of Materials Physics, Lab of Magnetism and Superconductivity.